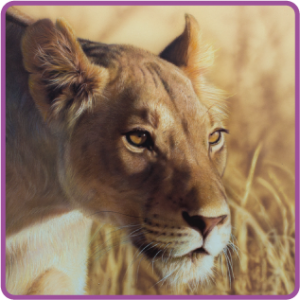 Createx Illustration Colors™, Fine acrilic airbrush paint. 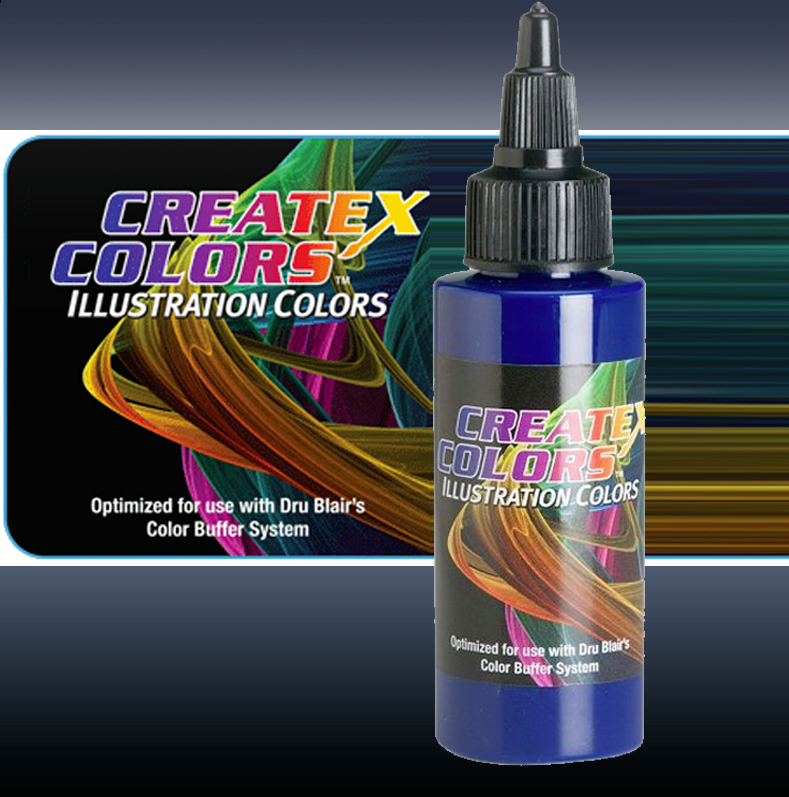 Createx Illustration Colors™ are a refined, water-based airbrush colors optimized for use with Dru Blair’s Color Buffer System. Illustration Colors offer true fine-line, detailed performance while allowing for re-wettable effects and subtle erasing techniques. As the name implies, Illustration Colors are designed with the illustrator and fine artist in mind without catering to the demand for high coverage base colors. Illustration Colors are lightfast. 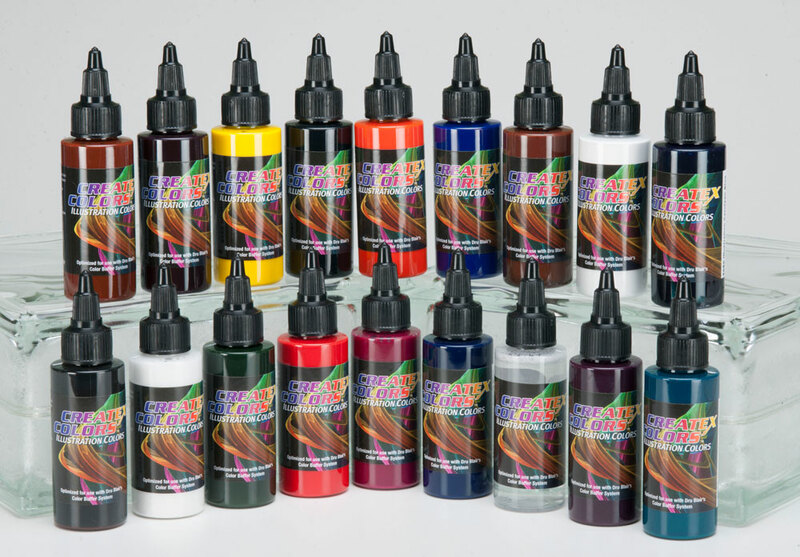 We use the same exterior-grade pigments we use to make our Wicked Colors and Auto Air Colors. The difference is in the resin. 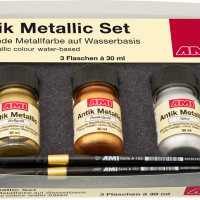 Unlike Wicked Colors and Auto Air Colors which air dry to a cured, non-soluble coating, Illustration Colors are re-wettable with an amine such as WindexTM. This is one of the key characteristics behind the creation of our Illustration Colors. Another key characteristic this resin offers is soft erasing. Unlike our Wicked Colors which erase hard, Illustration Colors are very easy to erase within the first 48 hours after application. After 48 hours, Illustration Colors harden making erasing more difficult and similar to how our Wicked Colors erase.